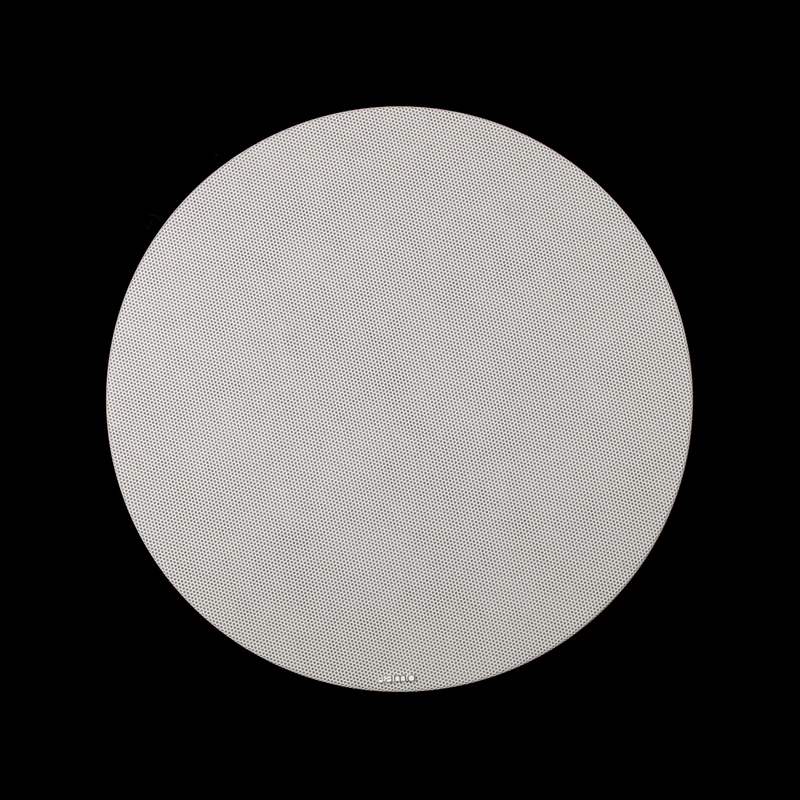 The IC 608 FG is a 2-way in-ceiling speaker. 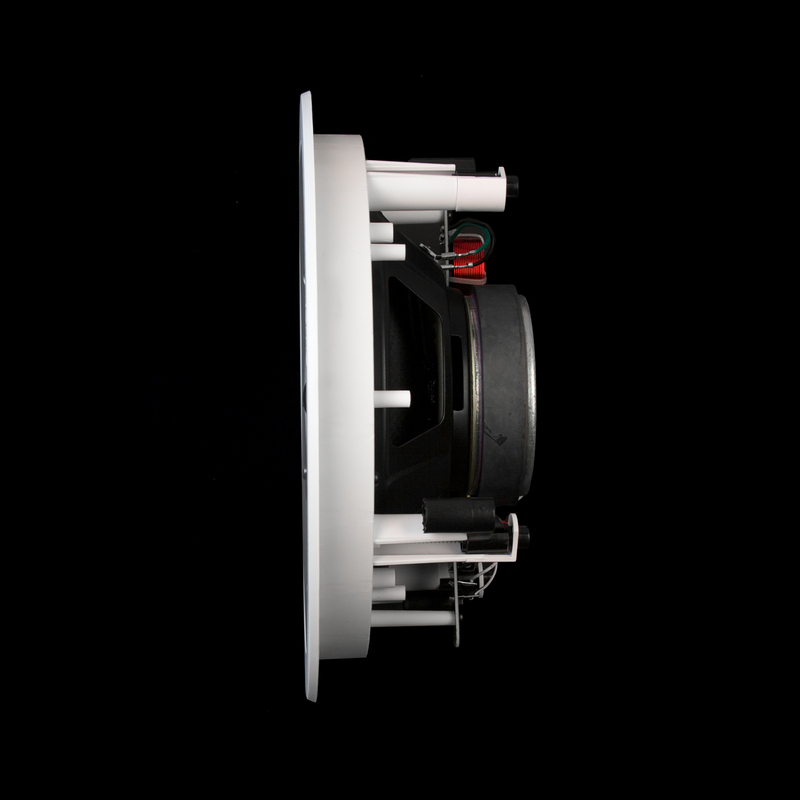 Part of our 600 line, these speakers are based on the best materials and the most advanced technologies available. 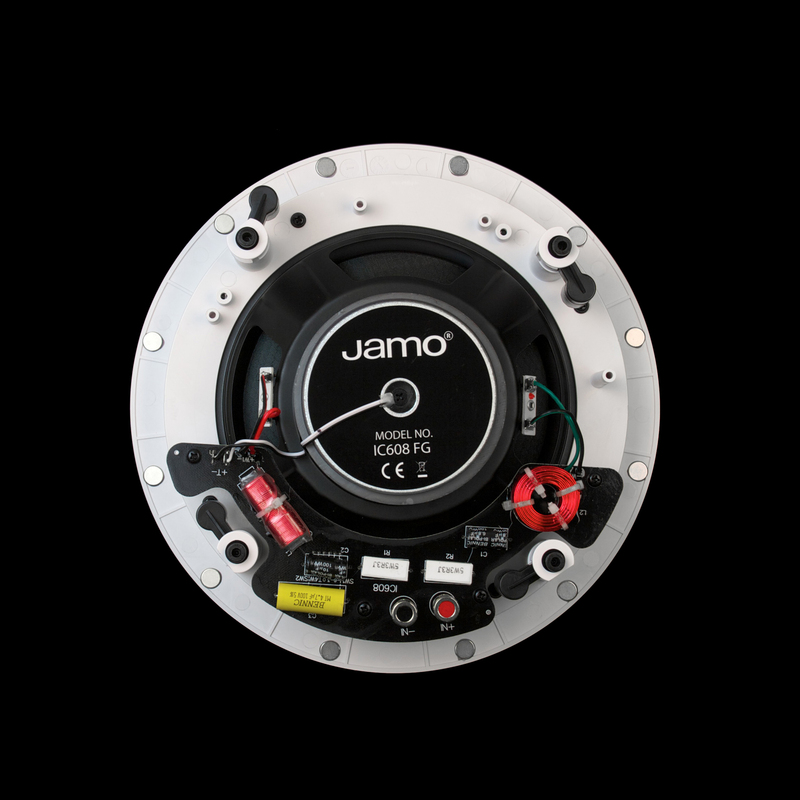 It is designed for critical listening, and is the ideal choice for moderately and relatively large rooms. The IC 608 FG's distinctive shape, pivoting tweeter and advanced technology makes it the perfect choice for front, center and rear-channels in a first-class home theater solution. We particularly recommend using the IC 608 FG if you need high power handling, or if the distance between the floor and the ceiling is above the normal 8-10 feet. 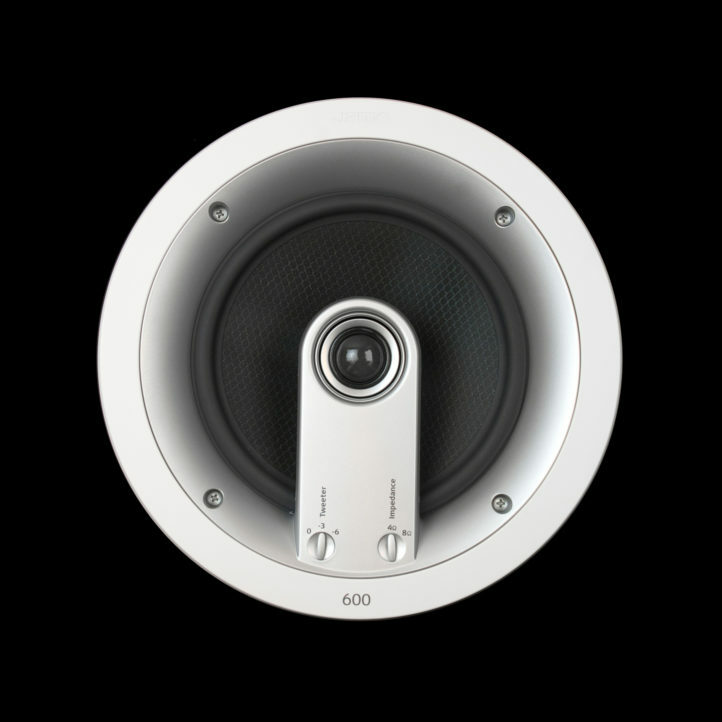 Should the distance between floor and ceiling surpass 13 feet, we recommend one of our 10-inch in-ceiling speakers. With its paintable magnetic grille, the IC 608 FG is designed to blend seamlessly into the ceiling so all you notice is the remarkably detailed, great sound.